This post is about the importance of being fancy. Have you ever found yourself in an inexpensive, fast-food-style restaurant and suddenly realized, “Holy crap I am not fancy enough for this place!” (don’t worry, I know we’ve all felt like that)? 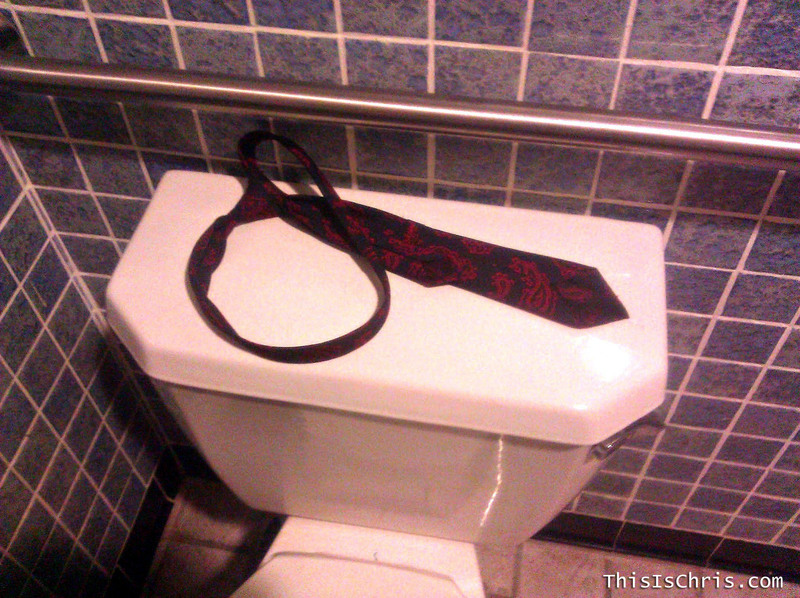 Well, if you go to Monster Burger in Federal Way (just south across the street from the mall), you needn’t worry, because they have a handy free tie in the men’s room just for you! Now you can be a fancyman in your fancy restaurant without fear of ridicule! Seriously, though, I had never been to Monster Burger until earlier this year. It’s pretty good, and extremely reasonable for the portions that get served up. It is actually very clean and well-run. Plus instant fancyman accessory in the men’s room! Posted by Christopher Grant Harris at 6:05 pm.